VL Elena 155/4 is, without a doubt, a leading donor at Santa Elena Ranch. 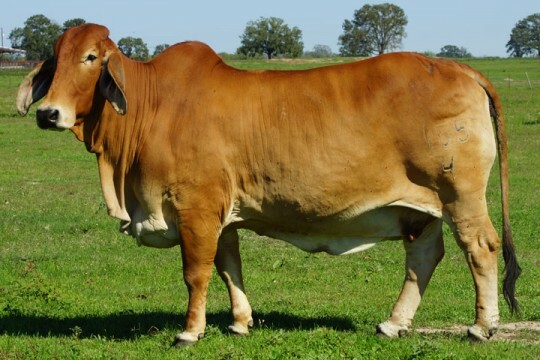 If you are looking for a Brahman pedigree that will blow you away, take a look at 155/4. She is a daughter of the Register of Renown +VL Elena 4/136, and the legendary -+VL Rojo Tinto 3/180. She has an outstanding pedigree with more than 10 Register of Renown descendants. 155/4 is a very nice donor that exemplifies length of body, maternal excellence, thickness, style, and excellent American Brahman breed character. This line of females exhibit great fertility and have three generations of high egg producing cows. 155/4 was flushed several times on the ranch with outstanding results. According to a study done by Texas A&M University, she has averaged 10 embryos per flush with her grand dam averaging 12 embryos per flush and high conception rate. 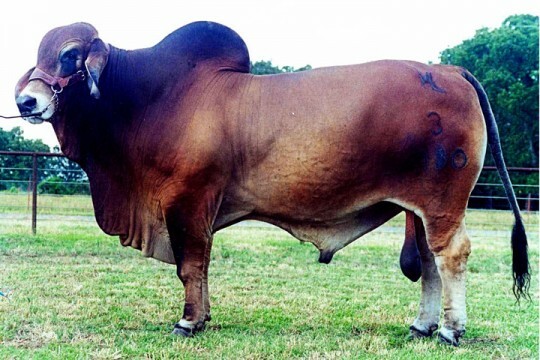 155/4 was the 2007 International Red Brahman Champion Female. Her calves have been the best of each calf crop with most, if not all, being shown in our show string. 155/4 is the dam to VL Rojo Elegante 44/7, a herd sire at the ranch. 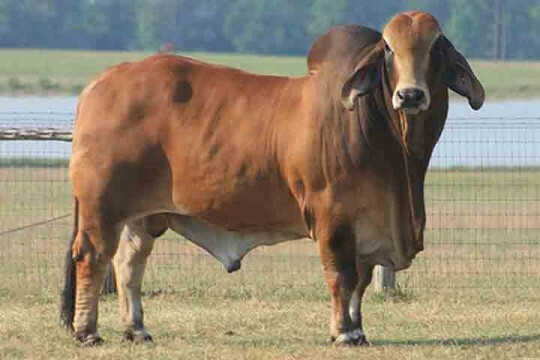 Here is a top donor in the Red Brahman breed. Look at her calves and you will notice why her production record is so great.